My name is Bruce L. Nicholson. I am a retired professor of Biochemistry, Microbiology and Molecular Biology at the University of Maine. I now live in Gold Canyon, Arizona. My wife, Arlene, is a retired middle school guidance counselor and our daughter, Sarah, is a construction engineer in Phoenix, AZ. I have been researching my family history for several years now. William Nicholson (d. 1690), the earliest proven ancestor of the Nicholson family of Anne Arundel, Kent and Queen Anne's Counties, Maryland, was a gentleman of Berwick-upon-Tweed, England, in the 17th Century. He was buried at Durham, England, May 9, 1690, and his will was proved at Durham in 1691. His wife, Anne, was buried on November 2, 1681. It is of record that, contrary to a provision of the burial act of England, she was buried in linen garments and for this offense her husband was fined. From his will and inventory of personal possessions at the time of his death, it is clear that William Nicholson was a wealthy man. However, nothing is known about the source of his wealth. 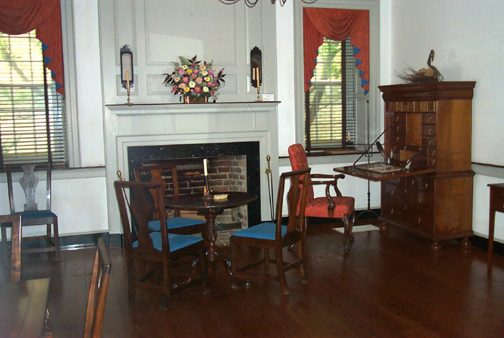 From the inventory, it can be estimated that his house contained 10-11 main rooms not including the kitchen and other related rooms. Also, it appears that he had at least 6-7 and as many as 11-12 servants. William Nicholson's only surviving son, William Nicholson (1666-1719) came from Berwick-upon-Tweed, England to South River, Anne Arundel County, Maryland around 1700 and was the founder of the family in America. William Nicholson (1666-1719) married Elizabeth Burgess, whose ancestors had settled in Jamestowne Colony and lated moved to MD. Both he and his wife died when their children were young. The children were sent back to England to be educated. The oldest son, William Nicholson (1704-1733) returned to Anne Arundel County. Another son, Col. Joseph Nicholson (1709-1887), settled in Chestertown in Kent County on the Eastern Shore of the Chesapeake Bay where he built a house (picture on left of page). Joseph first married Hannah (Smith) Scott by whom he had eight children. Three of these sons were naval heroes in the American Revolution (two are pictured on left of page). 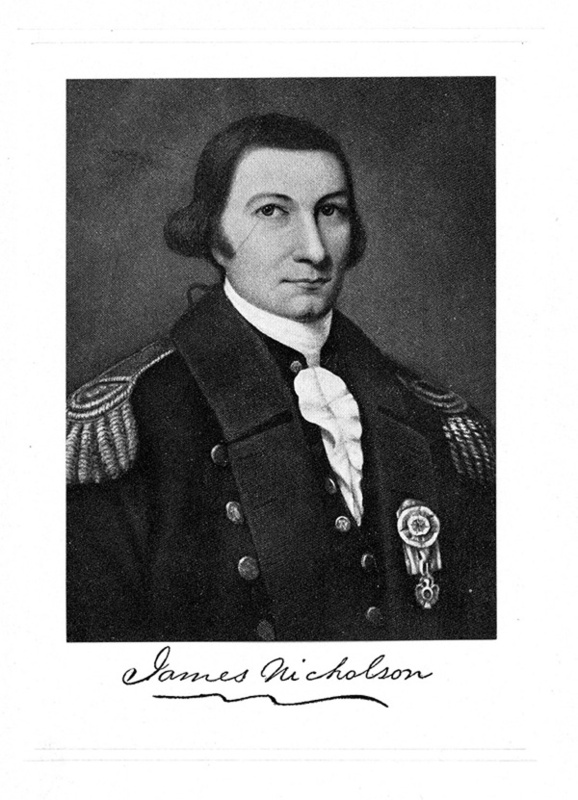 One son, James Nicholson (1737-1804), became the highest ranking officer in the Continental Navy. 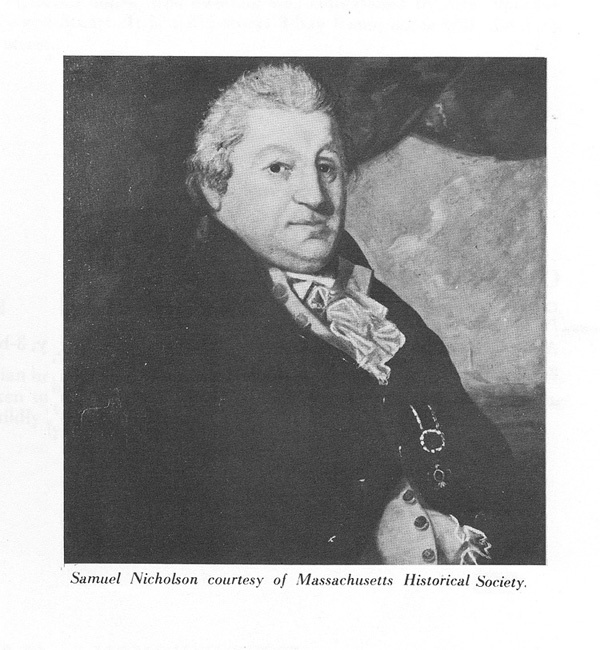 Another son, Samuel Nicholson, was the captain of the DOLPHIN and the DEANE during the Revolution. 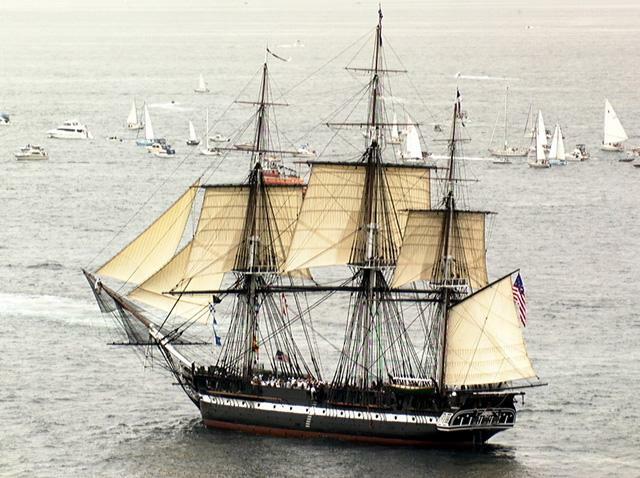 After the American Revolution, Samuel Nicholson became the first captain of the USS CONSTITUTION ("Old Ironsides"). Another son, John Nicholson, also was a captain in the Continental Navy. Several descendents of these naval officers also distinguished themselves as officers in the US Navy. There have been four US Navy ships named USS NICHOLSON in honor of these members of the Nicholson family, including a current Spruance class destroyer. 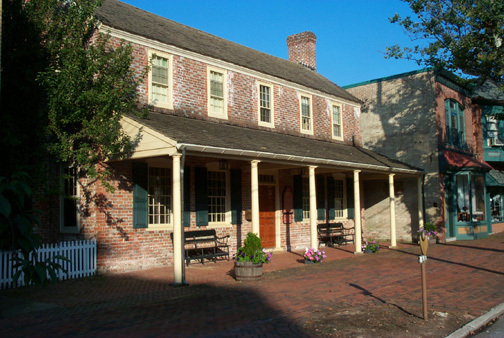 After the death of his first wife, Joseph Nicholson married Mary Hopper (1734-1798), daughter of Col. William Hopper of Queen Anne's County. 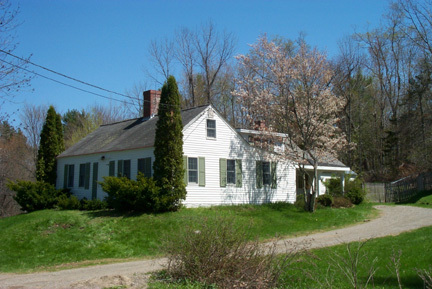 Mary also was the sister of Elizabeth Hopper, wife of Joseph's oldest son, Joseph Nicholson, Jr. (1733-1786). Joseph and Mary had three children, Mary Nicholson, Henrietta Nicholson and Joseph Hopper Nicholson (1777-1819), my ggg grandfather. 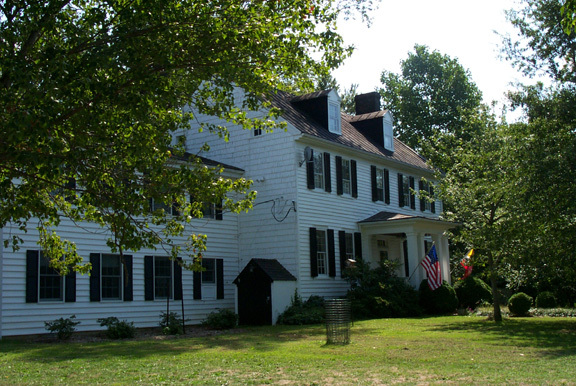 After Joseph's death, his widow Mary and her son Joseph Hopper Nicholson moved back to Queen Anne's County where she and her sister, Elizabeth (Hopper) Nicholson, were instrumental in founding the town of Centreville, County Seat of Queen Anne's County (more on this in the future). Joseph Nicholson's grandson from his first marriage also was named Joseph Hopper Nicholson (1770-1817). He was a member of the U.S. House of Representatives who, painfully ill, was carried into Congress to cast the deciding vote for Thomas Jefferson in his battle with Aaron Burr over the presidency. Nicholson's vote for Jefferson resulted in a tie between Jefferson and Burr in the Maryland delegation and, therefore, insufficient State's votes to elect a candidate. Nicholson persisted in voting for Thomas Jefferson for President through 36 ballots until the Federalist members of the Maryland delegation gave up their fight forAaron Burr. If Nicholson had been prevented by illness from voting in an equally divided Maryland Congressional delegation, Burr would have been elected President on the first ballot and the whole course of American history might have turned out quite differently. Later, Judge Nicholson became Chief Judge of the Sixth Judicial Circuit (then comprising Baltimore and Harford counties) and a judge of the Court of Appeals. Also, Judge Nicholson was the brother-in-law of Francis Scott Key and it was Judge Nicholson who suggested the music for the "Star-Spangled Banner" and had it published. The original copy of the poem was in the Nicholson family for 93 years. 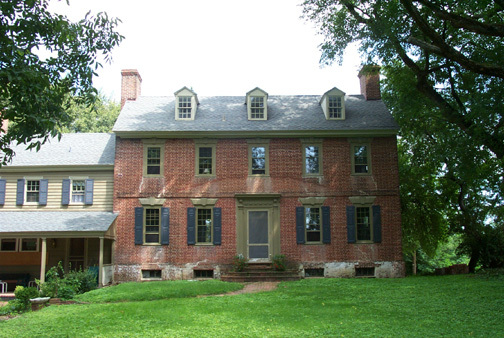 Col. William Hopper House built in 1771 in Centreville, MD. 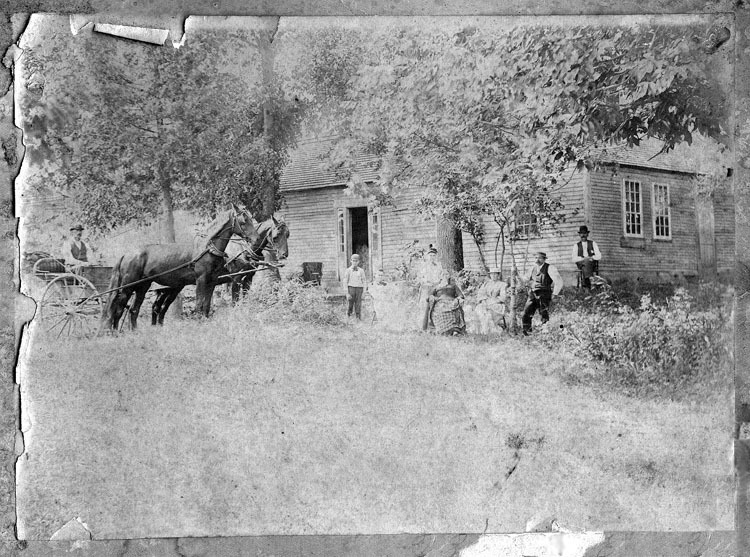 William Hopper was my ggggg grandfather - father of Mary Hopper, wife of Joseph Nicholson. Here are the surnames of some of my family lines. For information on the genealogy of these families, click on "My Family Tree" above and search that surname. 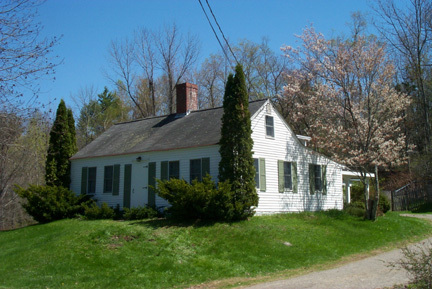 Joseph Hopper Nicholson (b. abt 1777 - d. 1819) house in Centreville, MD. My ggg grandfather. 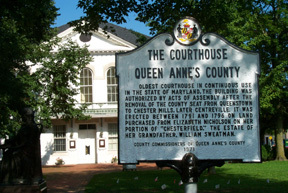 Queen Anne's County Court House in Centreville built on land purchased from Elizabeth (Hopper) Nicholson which had been passed down to her and her sister Mary (Hopper) Nicholson (my gggg grandmother) from their great grandfather Richard Sweatnam. 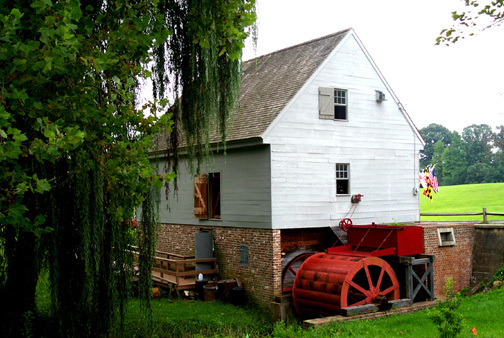 In 1671 Richard Sweatnam (my ggggggg grandfather) built a gristmill on the Wye River on the Eastern Shore. 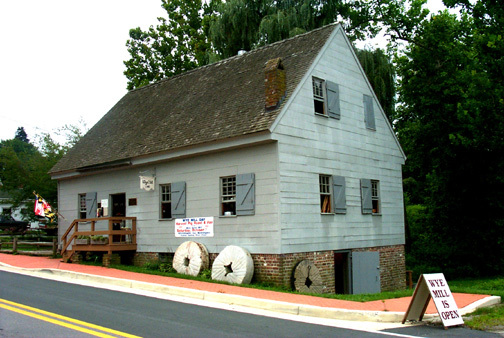 Over 300 years later, there is still a mill operating on the site, making it the oldest commercial enterprise in Queen Anne's or Talbot Counties. 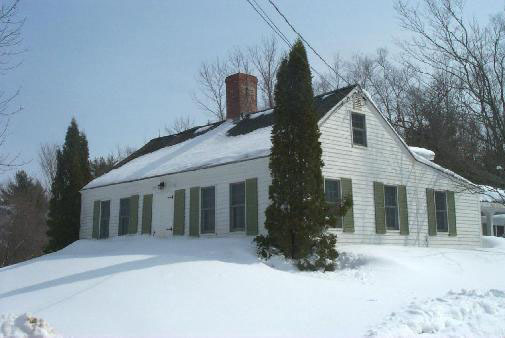 It was used as a boundary marker between counties in 1706 and supplied the Continental Army with flour.